Designed especially for Dan Wesson Revolvers. Shoulder holster for revolvers with 2 speed loader pouches. Size is fully adjustable allowing you to wear the holster concealed or overtly. 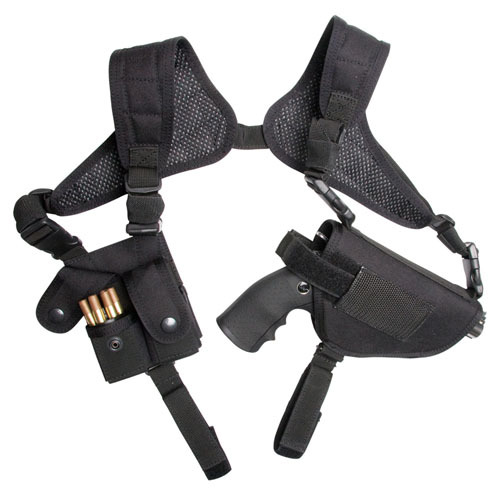 This holster can quickly be changed for either left or right handed players. Retention strap with push button snaps open for a fast draw. A additional safety strap keeps the gun securely in the holster during the most rigorous activities.